The final conference of the BALL project took place in Reykjavik City Hall, September 15th. In this conference the BALL consortia presented the work developed by the BALL project. Especially, the partners presented the objectives and milestones, the lessons learned and the results of the project in relation to the Awareness Raising Campaign, the Personal Development Academy and the Warehouse of Opportunities. Furthermore the publication of the projects final guidelines and recommendations, entitled Towards a Dynamic Third Age, was presented and a copy of the publication was formally handed to the Mayor of Reykjavik City. In this final conference, the BALL consortia are presenting the work developed by the Ball project. Especially, the partners will present the objectives and milestones, the lessons learned and the results of the project in relation to the Awareness Raising Campaign, the Personal Development Academy and the Warehouse of Opportunities. 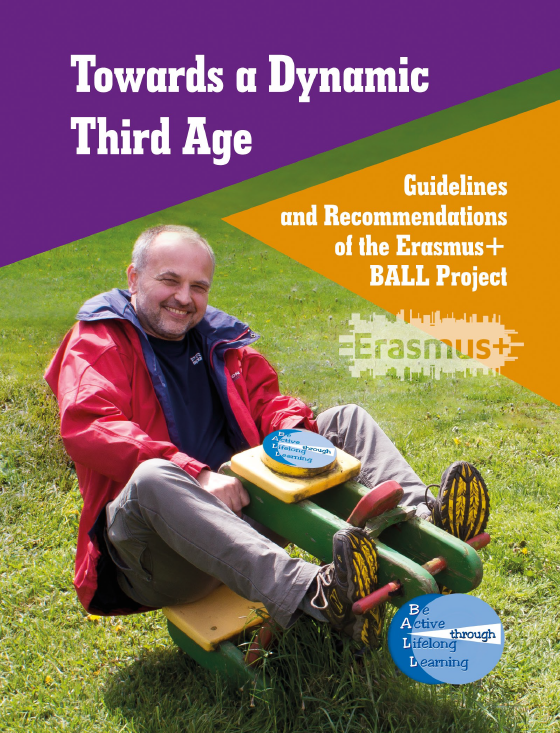 During the conference, the partners will present the recent publication of the Guidelines and Recommendations of the Erasmus+ BALL Project, entitled “Towards a Dynamic Third Age”. Link to a program on U3A and BALL broadcast on 22 of March on the Icelandic TV station Hringbraut. Ingibjörg, Jón Björnsson and Hans Kr Guðmundsson were interviewed with pictures and scenes from activities of U3A Reykjavik, BALL meetings and other international issues. All in Icelandic and regrettably no subtitles available. The first Editorial Meeting of the BALL “Be Active through Lifelong Learning” project took place on 5-6 April in Lublin. The BALL teams from UPUA, U3A Reykjavik, Evris and U3ALublin met to work on the final guidelines concerning preparation to retirement. After 2 days of intense and fruitful work the partners from Spain, Poland and Iceland managed to prepare the first draft of the publication, which is going to present a wide spectrum of recommendations, guidelines and materials helpful in organizing support for people aged 50+, to ensure them further self-development, active presence in the labour market and effective preparation to retirement.